Get ready for the biggest game of the year with the NFL Los Angeles Rams Super Bowl LIII Jersey. It features a Super Bowl patch at the chest to commemorate the landmark event, and team details give this jersey an on-field look that's perfect for layering or wearing by itself. REP YOUR TEAM FOR SUPER BOWL LIII. 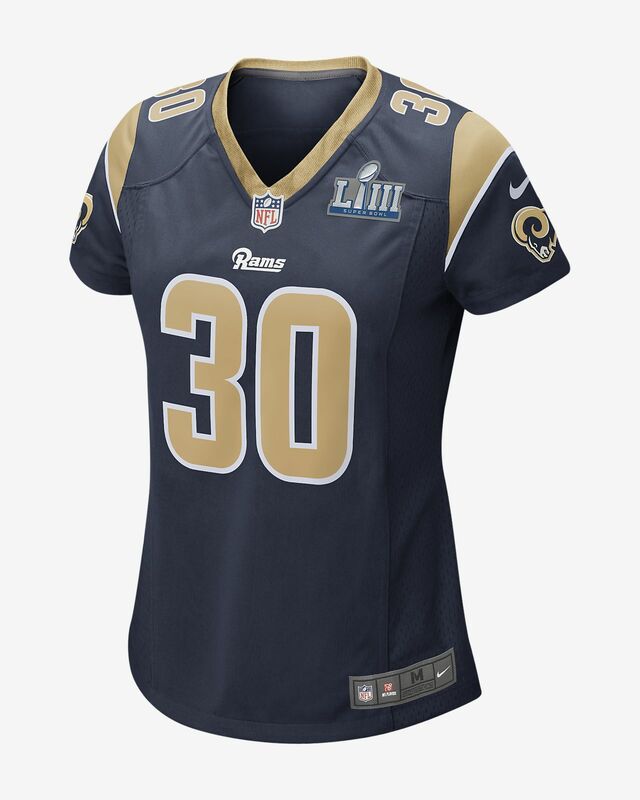 Get ready for the biggest game of the year with the NFL Los Angeles Rams Super Bowl LIII Jersey. It features a Super Bowl patch at the chest to commemorate the landmark event, and team details give this jersey an on-field look that&apos;s perfect for layering or wearing by itself. Screen-printed name, number and team mark offer lightweight durability. Mesh ventilation at sides helps keep you cool. Have your say. Be the first to review the NFL Los Angeles Rams Super Bowl LIII (Todd Gurley).